How is it your child—the one who can’t stop talking in class—suddenly has nothing to say when there’s a microphone or stage involved? Few things can silence your little chatterbox faster than an audience. Being afraid of performing in public is a fear acknowledged by many adults. So, it shouldn’t be a surprise to anyone that children have this same fear. Often called “stage fright,” performance anxiety is the body’s natural response to the unnerving prospect of standing in the spotlight. Even the most talkative tot or teen may freeze when faced with a crowd. Younger children may not be able to identify what they are afraid of, or even the feelings associated with stage fright. Experts suggest that children may exhibit their lack of confidence and fear in several ways. Some common behaviors include speaking softly, avoiding answering questions in class, withdrawing, asking to go last in presenting, becoming angry or frustrated, crying, having a temper tantrum, and acting out prior to—or following—a performance. In addition to the above behaviors, older children may display any of these physiological responses: blushing or worrying that they will ‘go red’, stumbling on their words, reading or presenting in a monotone, excessively perspiring, or speaking too quickly. Use these non-threatening strategies to help your child manage or overcome their fear. Stage fright is not the same as say, your awkward 80’s looks. You may have grown out of those high-waist jeans, but your son or daughter may not outgrow this phobia. “The older kids get, [stage fright] gets to be worse,” says Burke Eilers, a longtime counselor and Director of Youth and Family Services Counseling Center in Rapid City. If your student is anxious about giving a speech to his classmates, don’t invite your entire book club over. Asking him to practice in front of all your friends won’t make him feel any more comfortable about speaking in front of people. This process of “limited exposure” involves progressively adding more faces to the crowd so as not to overwhelm your child. Once they have rehearsed in front of you, it may be time to bring in the rest of the family. When your son or daughter appears at ease in front of family, consider asking a few good friends to come over and listen. As another option, Tiffany Meyer—an advisor to Pennington County 4-H youth—uses a show-and-tell approach to aid beginning speakers. Tiffany asks anxious club members to answer three questions about something that’s important to them. “Youth are more comfortable talking about their favorite pet or stuffed animal than putting them on the spot with a topic,” she describes. Public speaking, like any discipline, takes practice. “Any good presentation or speech needs to be prepared for,” Tiffany says. But kids may not be too keen on adding one more thing to their already maxed-out routine. So, make practice anything but routine by focusing on fun. Make a game of it. Public Speaking for Kids, an online resource for adults who wish to nurture children’s communication skills, suggests a number of entertaining ways to help boys and girls become more creative, competent, and confident speakers. Kids are notorious storytellers, so help them channel that tendency toward speaking in front of a group. Ask your child to write their own stories and share them aloud, no matter how silly or improbable. When learning new material, repetition is the key. It doesn’t matter if the material is for a class assignment, school play, or speech contest—running through a script once or twice isn’t enough. Children need to rehearse again and again. If memorization is mandatory, make sure children comprehend what they’re committing to memory. Boys and girls don’t merely memorize lines under Kristi Thielen’s tutelage. This Black Hills playwright, who casts and directs local children to act in her historical plays, makes sure her young performers understand what they’re speaking. Kristi compiles vocabulary lists of words from her scripts and helps her cast learn them before rehearsals get underway. Before the actual performance, stage a mini dress rehearsal. Have your child dress in the same clothes they plan to wear during the presentation—it’s best to discover the shirt is itchy before it’s time to take the spotlight so you can make adjustments in advance. “The most important thing is to stay calm and always go forward,” said Kristi, who tells her students to play it cool when they make a mistake. Whether it’s a musical, church program, or recital—children should boldly press on if they forget a line or botch their delivery. The audience likely won’t even notice. if you are dying on the stage, but chances are good your audience won’t even notice your wobbly knees and sweating armpits. bound to find one near you. Looking for local opportunities to get your child comfortable in front of a crowd? 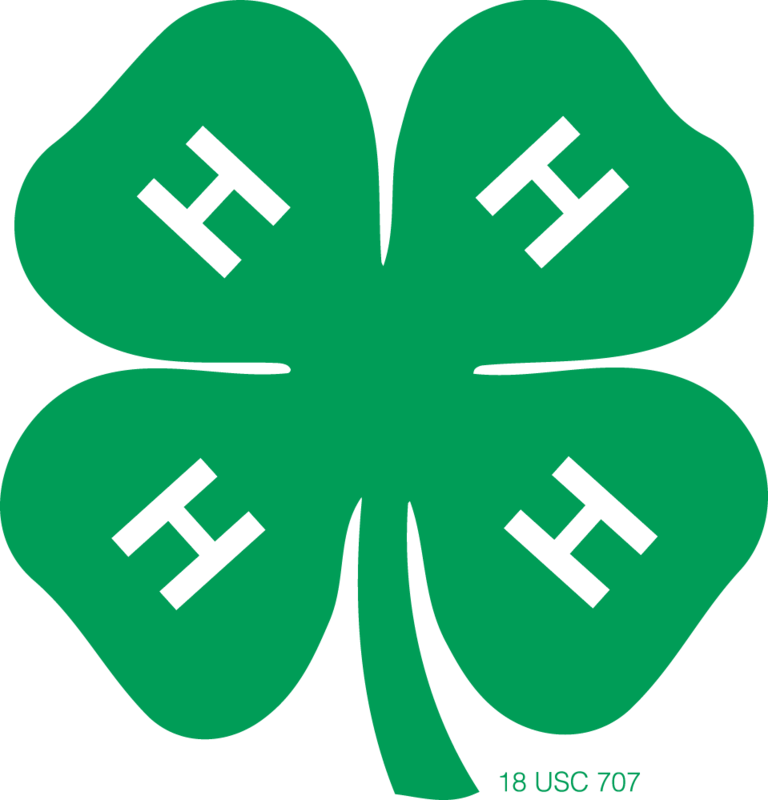 Consider 4-H. Children as young as five get an opportunity to stand before their peers and do a show-and-tell, while children as young as eight give a five-minute presentation on their chosen subject. Judges regularly interview 4-H participants about their projects, too. This format helps kids learn to use correct terminology and speak with clarity and conviction. Pennington County 4-H Youth Advisor Tiffany Meyer said she’s enjoyed watching the most timid of tots grow up in the program and go on to win national competitions. Cherry Street Players gives school-age kids a solid communication foundation by exposing them to the basics of live theater. This Rapid City children’s performance troupe is open to all 9 to 17-year-olds and introduces participants to what goes into putting on a drama production, both onstage and backstage.